Camp'd Out brings the wilderness & Luxury accommodations to you. we curate unique & totally badass pop-up spaces for your special event. Details define who we are. This is where wilderness meets luxury. 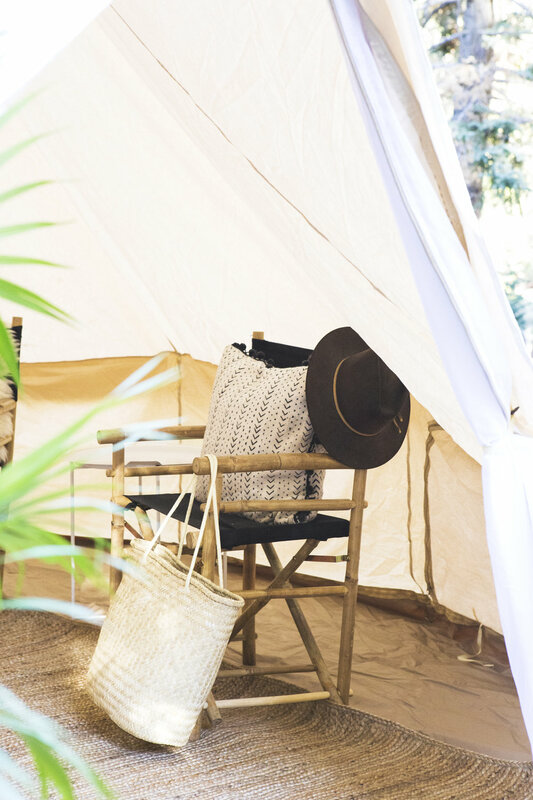 We focus on collaborating with local artisanal companies to make our tents that much more comfortable, cozy and stylish which make our events truly magical and memorable. Headquartered in Los Angeles, we service Southern California and beyond. You pick the location and let us do the rest. We specialize in off-the-grid venues and locations, but we can also transform any space into an exotic destination, from the beach to your backyard. Let us handle all of your temporary camping needs. We are dedicated to providing you with the most leisurely, stylish and unforgettable experience. From setup to tear-down - we've got you covered! Join us as we bring your dreams to life! Hire our team to pitch your tents and service your guests so you can enjoy all of the magical moments and create lasting memories. getting people back in touch with the outdoors. To inspire through nature, design, and green travel. We are committed to making your outdoor adventures easy and rad.